Pride in Manitoba has come a long way since Winnipeg’s first march in 1987. Now, cities and towns across the province host parades and events for the LGBTQ* community and their allies. 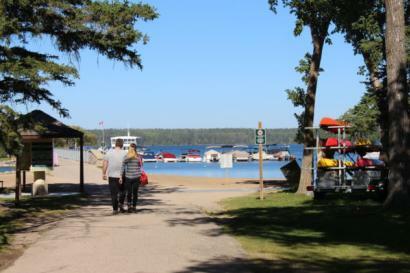 The newest addition to the list is Riding Mountain National Park’s Pride Week, six days of fun and festivities in Clear Lake Country. 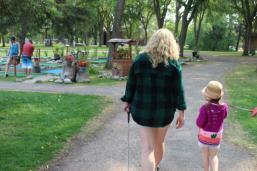 Check out these 10 ways to take in Manitoba’s newest Pride celebration. 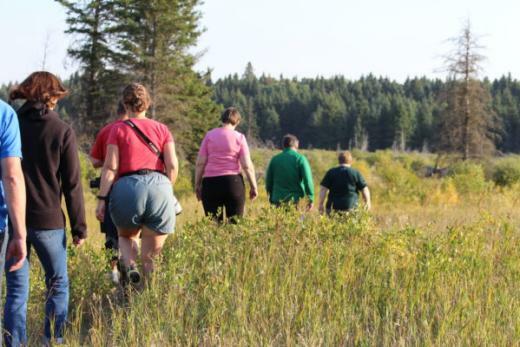 Riding Mountain National Park in early September is a treat; the warm days and cool nights are perfect for active outdoor adventures like hiking, biking, horseback riding and more. You can also keep it more low-key with a stroll along the Lakeshore Walk to watch the sun set over the water. 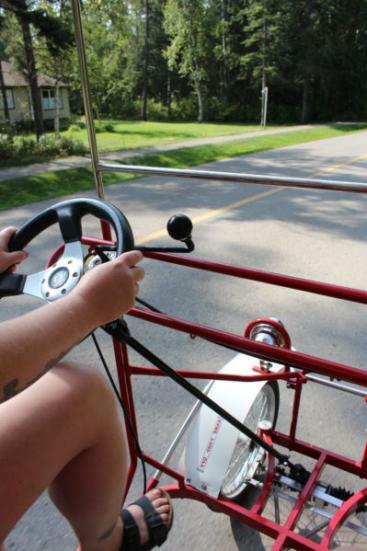 For the best of both worlds, rent a two-, four-, or six-person bike from Old Surrey Station Bike Rentals and tour the Wasagaming townsite. The start of the Lakeshore Walk alongside Clear Lake. Cycling path just outside of Wasagaming. A bicycle built for two, carrying three. 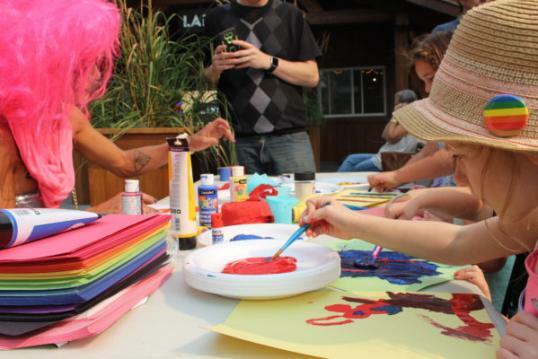 Up your rainbow quotient with button making and handmade patches from members of SERC Brandon, or colourful airbrush tattoos and flags from Parks Canada’s Pride Yourself Station. If you’re feeling crafty, count on everything from sidewalk chalk to glitter for kids, or get your brushes ready for the Pour, Sip and Paint event for adults. Button making with SERC Brandon. 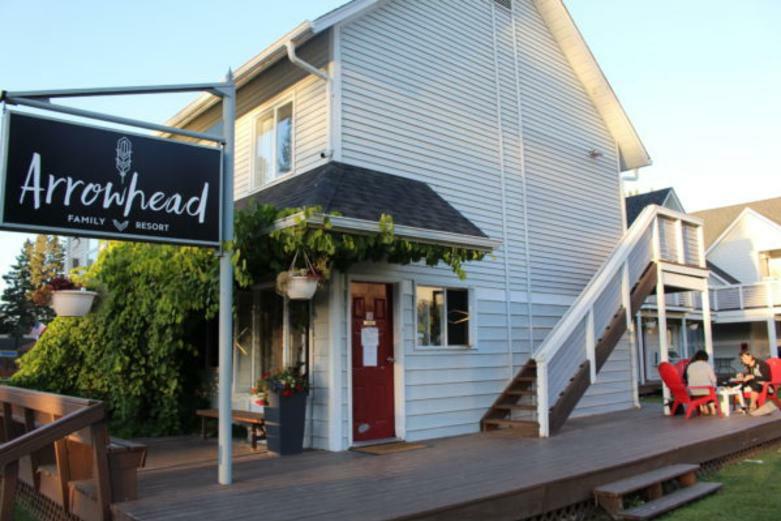 There are so many places to eat out in Clear Lake Country! 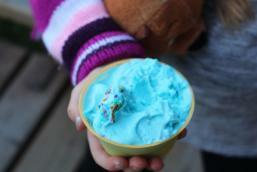 With everything from ice cream to pizza to “beach buns” to choose from, local favourites like Foxtail, T R McKoys and the Whitehouse Bakery and Restaurant are ready to serve you. No matter what you’re into, there’s something for every taste. 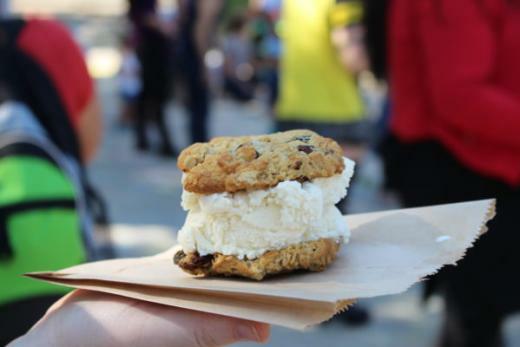 Oatmeal cookie ice cream sandwich from the Lakehouse. 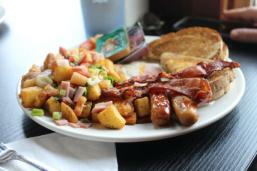 Breakfast at the White House—well worth the line! 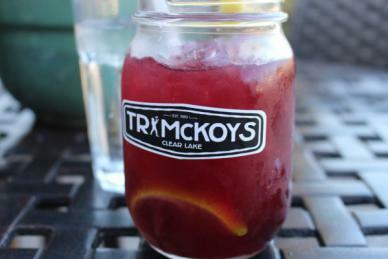 Summer sangria from T R McKoys. 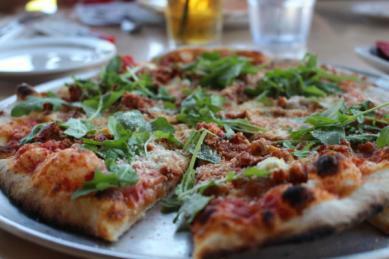 Wood fired pizza from the Foxtail. Grab your bathing suit and head down to Clear Lake proper. Get out on the water by renting a kayak, peddle boat or stand-up paddleboard from the Clear Lake Marina, or take a dip in the aptly-named clear lake water before soaking up the sun on the beach. Kayaking the shores of Clear Lake. Sleeping outside town is fun (and cabins and campgrounds abound in Clear Lake Country) but sleeping in town is even better. 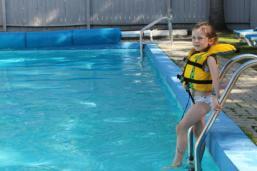 The Arrowhead Family Resort is a great place for couples and families alike right in the heart of Wasagaming. 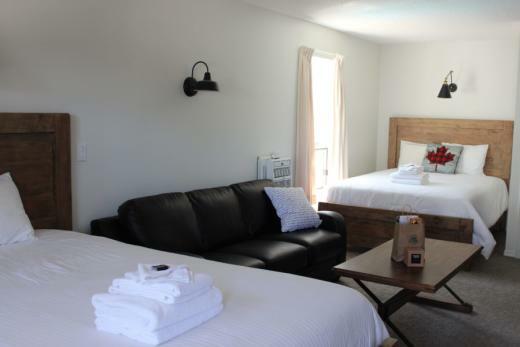 Take a swim in the heated outdoor pool or cozy up under the covers in a newly renovated guest room. Our room at the Arrowhead. Warm enough for September swimming. 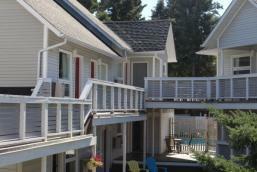 Rooms at the Arrowhead Family Resort. 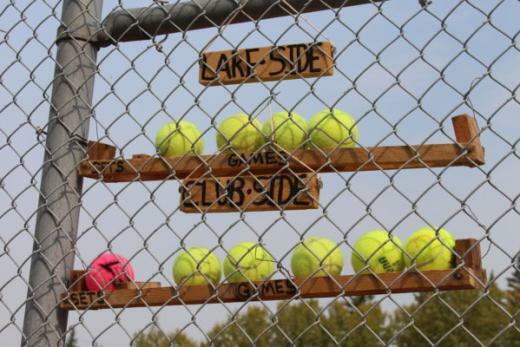 For a different kind of paddling, head to the Clear Lake Tennis Courts by the beach. Rent some pickleball paddles or a tennis racket and play a game or two! 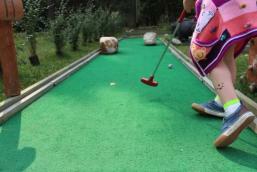 For something a little more family-friendly, grab a mini golf club and play your way through 18 holes at the Adventure Mini Golf course. The Adventure Mini Golf course next to the tennis courts. One of the Riding Mountain-themed holes. What’s a Pride celebration without a little retail therapy? Snag a great deal from the many local shops and boutiques offering end-of-season sales, or take advantage of handmade Pride-themed goodies like bath bombs and candles available at the Makers’ Market. Pride-themed bath bombs from Bloom Bath & Spa. Pride without drag queens is like summer without sunshine…and the ladies (and gentleman) of the Sunshine House are just what a Pride celebration needs. Already a big hit in Winnipeg, take in Read by Queens on the patio of the Lakehouse with story time, singing, dancing and crafts. 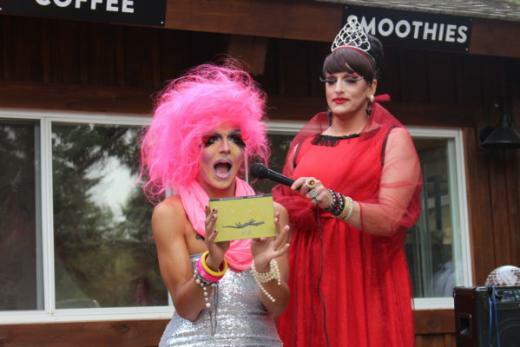 If you stick around until the sun goes down, you can catch these queens werking it during Drag Queen Bingo. Pharaoh Moans reads to the crowd with Prairie Sky holding the mike. Lady Quinnzarr entertains the crowd singing “Let It Go”. 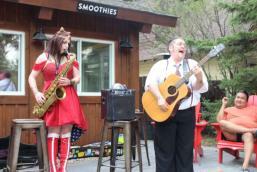 Drag king Ruddy and Lady Quinnzarr leading a singalong to “The Cat Came Back”. The bears at this Pride week include the four-legged variety! 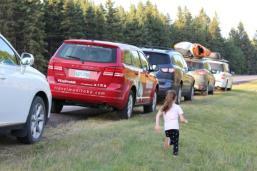 Join the “Call of the Wild Car Caravan” for a safari through Riding Mountain National Park, including a guided nature hike to a bear’s den, wildlife scouting and elk calling. Finish your adventure by getting up close and personal in the Lake Audy bison enclosure. On the way to a bear’s den. Guess which one is ours? 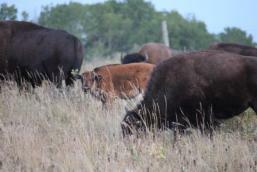 A plains bison calf in the Lake Audy herd. What category are we on right now? 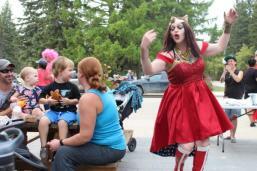 DJ Mama Cutsworth’s family dance parties defy definition. Take some sweet beats and colourful costumes for dancers of all ages, then add platform boots, voguing and Diana Ross. You’ll never want to come back in. Missed this year‘s Pride Week? 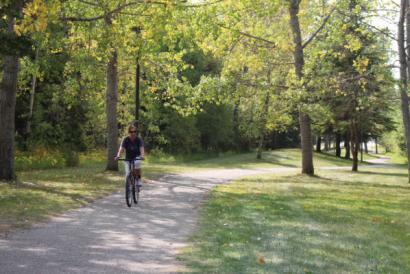 Don’t worry—Riding Mountain and Clear Lake Country will be hosting the second annual event in September 2018. Stay tuned for more details!